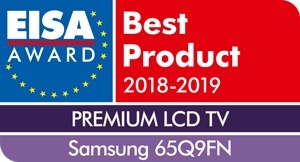 alaTest has collected and analyzed 203 reviews of Samsung 65Q9FN / 65Q9F (2018) Series. The average rating for this product is 4.7/5, compared to an average rating of 4.6/5 for other products in the same category for all reviews. Reviewers really like the image quality and durability. The design and sound also get good feedback.